The MDC President has responded to the invitation by President Emmerson Mnangagwa to all candidates who participated in the Presidential Election of 30 July 2018 to a meeting to discuss a framework for dialogue and interaction. 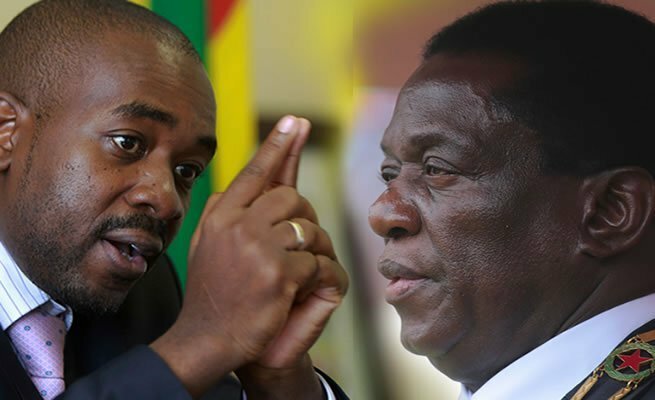 Posting on his microblogging site Twitter MDC President Nelson Chamisa dismissed the dialogue invitation as a mere game. “DIALOGUE NOT GAMES. We have a political crisis arising out of a disputed and rigged Presidential election result in Zimbabwe. The Presidency is disputed. We need genuine dialogue under a credible Convener and mediator to solve this crisis. Stop citizens’ abuses, beatings and arrest,” said Chamisa. Another 2018 election Presidential candidate Dr. Noah Manyika of Build Zimbabwe Party downplayed the invitation as he sets preconditions for a meaningful dialogue to take place. “In my view, real and meaningful dialogue that will lead to change we desperately need in our country can only happen if the people wrongly detained have been released and the army is withdrawn completely from the streets and from manning roadblocks,” Dr Manyika responded. “I don’t think the President has created the right conditions for dialogue, something that is his power to do so. I will attend this meeting to hear if he is now prepared to do so and will only be prepared and will only be prepared to joining any continuing dialogue if this is clearly the case,” he added. Majority of the political parties that ED invited to his FACEPOWDER DIALOGUE have endorsed him as leader, see nothing wrong with rights violations, or their members are violated. It is Adv. Nelson Chamisa and MDCA that matters more in the dispute, 2.4million followers is no joke” he added.